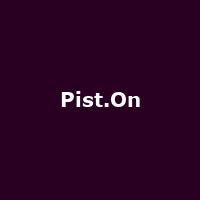 Pist.On are an American heavy metal band from Brooklyn, formed in 1993 by front-man, singer and guitarist Henry Font plus former member, bass player, Val.Ium. As well as the front-man, other long-term members include guitarist Burton Gans and drummer Jeff McManus. Bass player Jack Hanley joined the band in 2015.